Grey’s Point Camp has over 400 beautiful vacation campsites in Virginia by the Chesapeake Bay. Whether your drive the largest motor home on the road or tow a pop-up Grey’s Point Camp has the perfect campsite just for you. 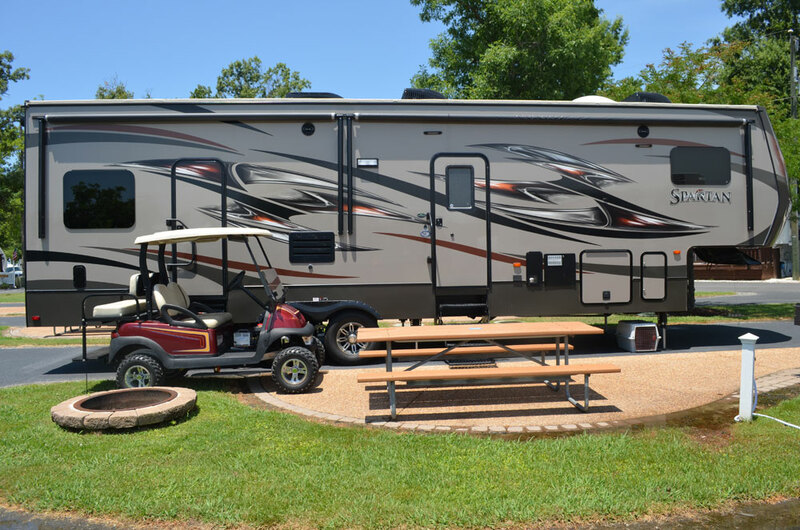 From shade to sun, paved to grass, all of our campsites are conveniently located near the Rappahannock River, our huge water park, camp store and all recreation amenities. All RV Sites are full hookup and include a large grass site, cable TV, Wi-Fi, 50 amp service and sewage. 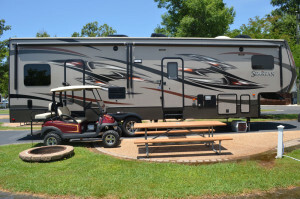 Upgrade your camping experience to an RV Super Site and also receive paved parking, concrete patio, fire rings, free-standing grills, large picnic tables, cable TV, Wi-Fi, 50 amp service and sewage. **Please Note: For our Guests safety - Special height requirements apply to slide participation. 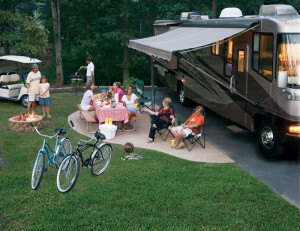 Campsite amenities operate on a varied schedule, please inquire at time of visit.